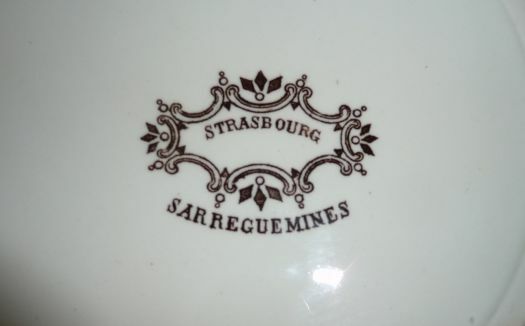 6 nice flat plates, model Strasbourg, from Sarreguemine's manufacture. 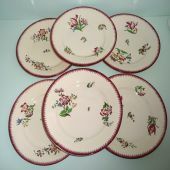 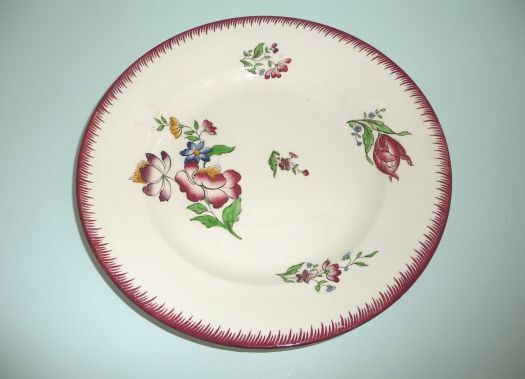 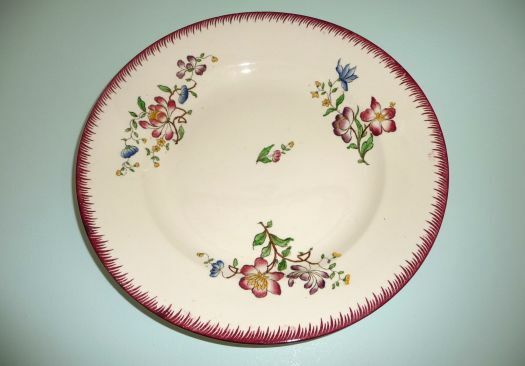 Very good condition ; you will notice that each plate has a different design. 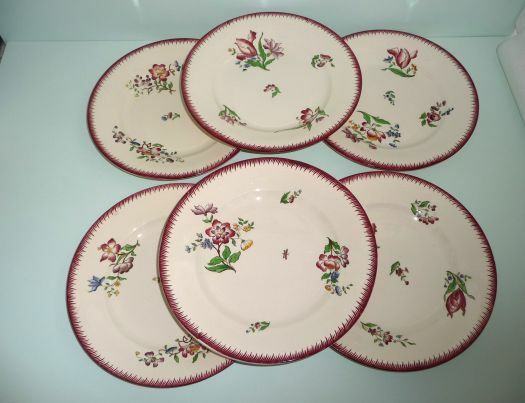 I have some other flat plates in stock.